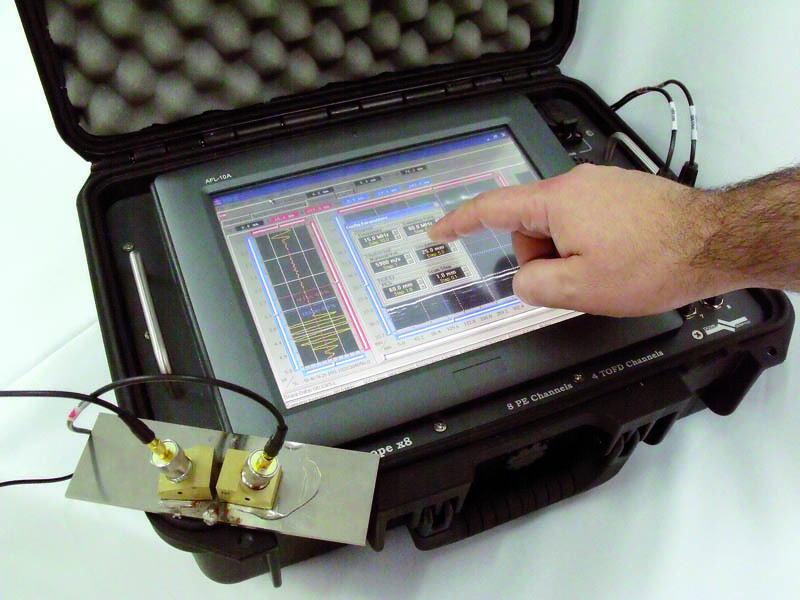 DifraScope is a high-end portable multi-channel system with superior processing capabilities. The system has the necessary algorithms to the TOFD technique: hyperbolic cursors, lateral wave straightening, linearization, S.A.F.T. 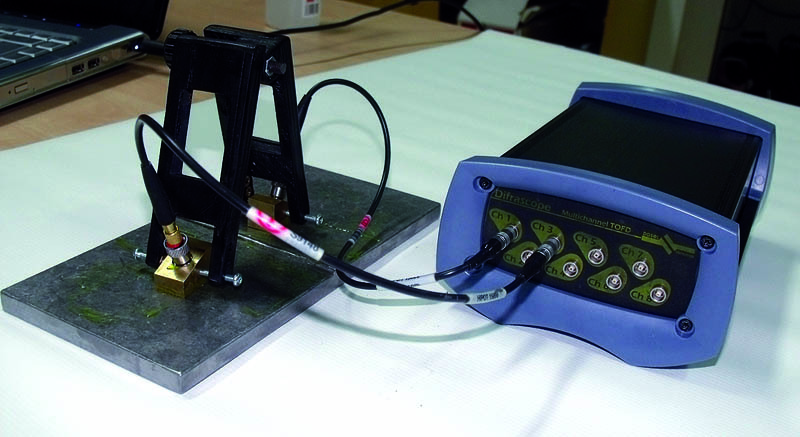 (Synthetic Aperture Focusing Technique), and other signal processing to improve the acquisition data as the EMI filter to eliminate the electromagnetic noise. DifraScope is an excellent choice for automated inspection of weldings simultaneously applying TOFD, pulse-echo and pitch-catch. Its intuitive and highly configurable software allows to tailor different applications quickly and to easily integrate the equipment into the industrial field or laboratory environments. 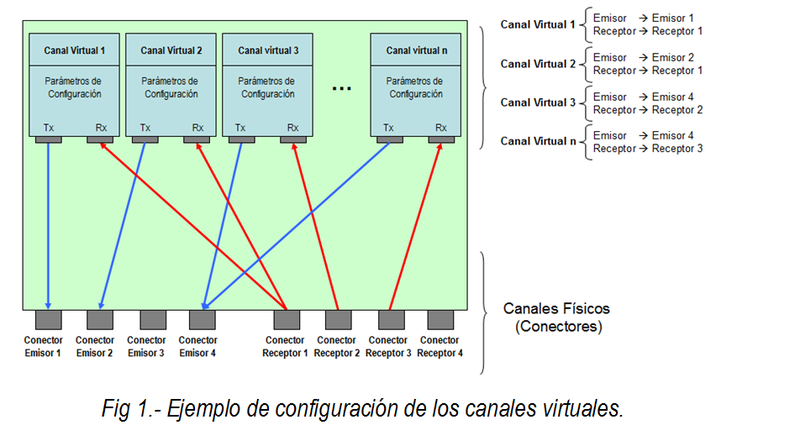 The DifraScope system has 8 physical multiplexed channels (connectors), these channels can be configured as emitter, receiver or emitter and receiver. 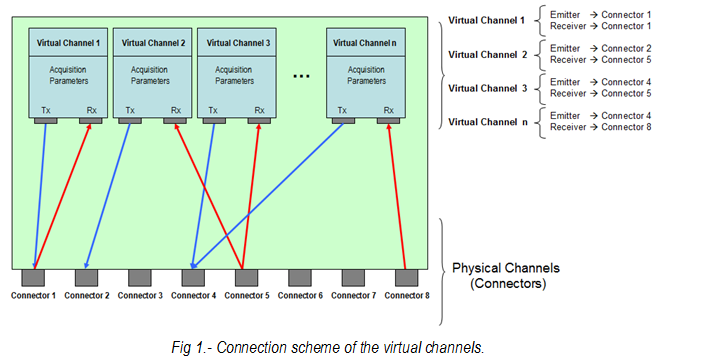 The user can program an acquisition sequence with up to 32 virtual channels, these virtual channels are defined assigning one connector for emission of the pulse and other connector (or the same) for reception of the signal, and it is possible to share connectors between virtual channels. DifraScope has encoder inputs and external signal inputs for synchronize the acquisition and get B-Scan and C-Scan images. For special configurations with other number of channels, please contact with DASEL. 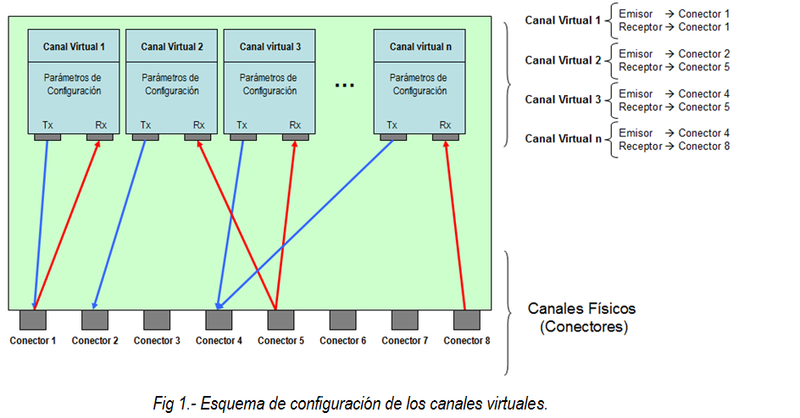 - For others configurations with different number of channels, please contact with DASEL.